Marketing analytics is the process of comprising data and technologies to establish trackable metrics and data-driven marketing activities. The main function of marketing analytics is to import the business metrics, such as ROI, and marketing attribution into the core of marketing game. In other words, the analytics job is to gathers data from across all marketing channels and to combine it with the consumer databases then and consolidates it into an insightful marketing view. From this analytical view (360° Knowledge Graph), marketers can extract real-time analytics and actionable insights that can provide the steering wheel for effective targeting and personalized marketing efforts. 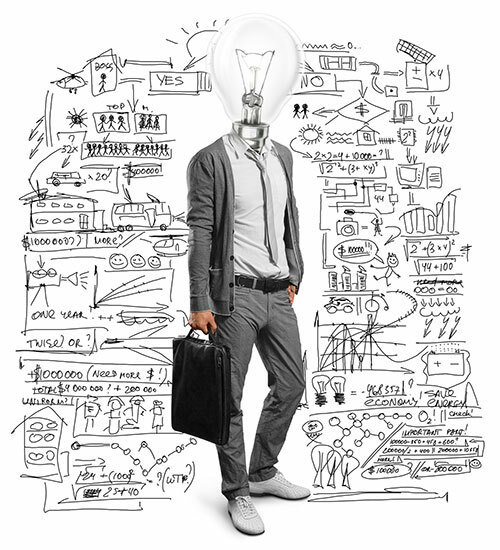 What can you do with marketing analytics? Measuring the marketing performance: Monitor real-time performance, forecast future performance, campaign performance, return on Ad spend ROAS, bidding strategy and budget allocation across channels and devices. Analyzing the competition: Compare marketing activities against competitors’, analyze the market share and monitor the brand visibility. Enhancing the marketing team: Build a data-driven team, increase the credibility of results, improve the efficiency of marketing priorities and ROI tracking. Over the years, as businesses expanded into digital marketing techniques and the need for advanced targeting and tracking is becoming the main focus of marketing initiatives. With the higher demand for efficient solutions for analytics, the challenges started to rise. Isolated environments: The new technologies were typically deployed in isolations and the result was a huge set of tools and platforms of a disconnected data environments. Marketers would have to implement several tools and platforms to monitor all the data sources (Google Analytics, Social Media tools, SEO tools, CRM platform, Automation platform, etc.). This would require several resources including talents, API integration, IT capabilities, and multiple data aggregations. Data Discrepancies: There were be always instability and mismatching results coming from the different platforms. For instances, comparing Google Analytics and Facebook conversions will reveal a big difference since they use different tracking. 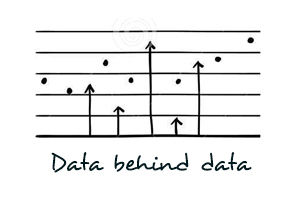 At the end of the day, you will be facing the issue of which data source is the most reliable for making a decision? Customization: Each business has its own technology stack and infrastructure. Connecting Sales data with online data is sometimes one of the biggest challenges for marketers. Your company could be using SalesForce for offline data while you are using several tools for online data. Combining this resources in one source for analysis could be expensive for SMEs who cannot afford the cost of enterprise clouds or solutions. Marketing analytics relies on three pillars: econometrics, experimentation and decision calculus. CMOs can use econometrics when they need to make hypotheses about their marketing activities and test them by using experiments. Where the decision calculus comes down to individual digital marketing channels introducing their own intuition into the equation, marketing analytics as a whole allows the marketing department to identify best estimates for how to measure the effects of marketing activities. Intuitively, the metrics and data analysis should provide the best relationship between marketing inputs and consumer response. Set-up your objective function clearly. What are the business metrics the business wants to set as its goal for optimization? This may be one of any formulas of assessing business success, including market share, conversion rates, brand equity, customer lifetime value (CLV), retention rates, future growth potential, and business valuation. The second step is to connect the marketing data with other data sources within the firm. Bring the online insights of consumer interactions onto your customer database. The value of connecting marketing data with sales and finance can help the business managers in many complicated tasks. For example, if a company is examining gross profits, what are the attributes of the business that contribute to those profits? Another example, net profit is gross profit minus marketing costs. If both gross profit and marketing costs are known, net profit can be computed easily. For decades, the relationship between marketing costs and unit sales is complex and driven by numerous unknowns. You cannot directly sum the investments in marketing (for example, organic, advertising) to obtain sales. 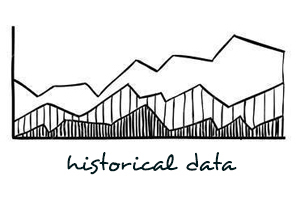 Connecting data can bring more accurate analysis rather than a guess based on historical data, wherein several factors in addition to price also affect sales. This is the main difference between an identity relationship and an empirical relationship when you are taking a decision. Empirical implies is always a prediction while identities are certain. The third step is to identify your models, strategy and analytical techniques. It is critical step since a lot of businesses tend to fall behind in determining the right approach for analytics. Don’t only look for the obvious metrics like conversion, try to use analytics to reveal more about the customer journey which can help you to build a better experience and improve retention. 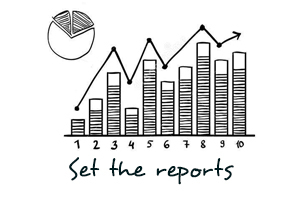 Use marketing analytics to report on the past performance which will allow you to understand the trend. Find answers for questions like which campaign generated higher revenue in the last year? 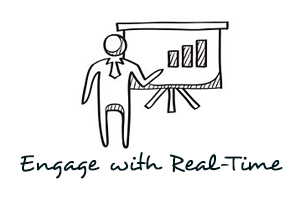 How did your email campaigns perform over time? 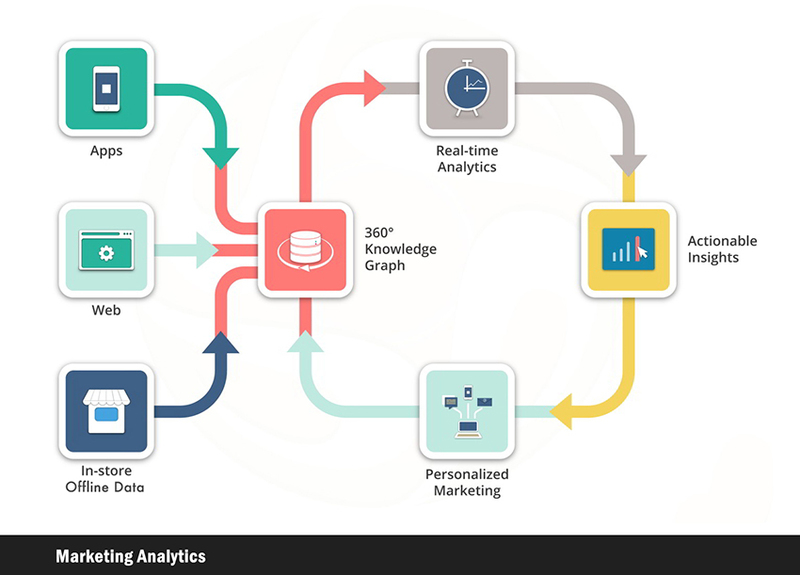 Marketing analytics platforms would enable analyzing the life feedbacks and rates which would help you to answer questions like: How the customers are engaging with your offering? Which channels your most profitable customers are engaging with? Who is talking about your brand on social media, and what is the feedback? The value of marketing analytics gets higher upon delivering data-driven predictions. You can use the analytics to build an effective marketing strategy for the upcoming year by answering such questions as: How you can design campaigns to turn short-term wins into loyalty and ongoing engagement? Which markets should you target next using the current portfolio? Which channels are more effective for conversion? 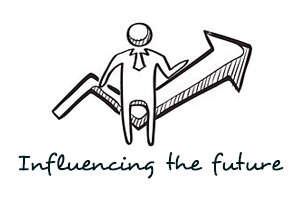 It is important to know which marketing inputs of interest (season, promotional price, advertising, sales calls) should be considered as having an impact on the dependent variable?Once you set up the regression model, the CMO can predict the outcome metrics for different marketing input levels. It’s important to know where you stand along the analytic spectrum, so you can identify where the gaps are and start developing the actionable tasks. The marketing organization would need to build a data-driven strategy that can bring the most profitable results. Of course, if you’re not quite sure where to start, well, that’s easy. Start where your needs are greatest, and fill in the tasks over time as new needs or potential arises. There is absolutely no real value in all the insights marketing analytics can give you – unless you act on it. In a constant process of testing and learning, marketing analytics enables you to improve your overall performance by adjusting strategies and tactics as needed. Without the ability to test and evaluate the effect of each marketing campaign on your consumer and profit rate, you would have no idea what was working and what wasn’t, when or if things needed to change, or how. Entrepreneurial: Usually the team consists of one marketing analyst, project manager, and data scientist. This team commonly placed under the management of “Performance Team” which is responsible for paid advertising as well. Professional: The analytics teams might be larger than an entrepreneurial system and consists of several marketing analysts with different tasks as well as data scientists, developers, marketing technologists and project manager. In this model, the analytic team is placed under a separate department and manager by Chief analytics officer (CAO). This model is commonly used in mid to big size companies. Superior: This is a very advanced team structure which is commonly used in tech giants and big players in e-commerce. 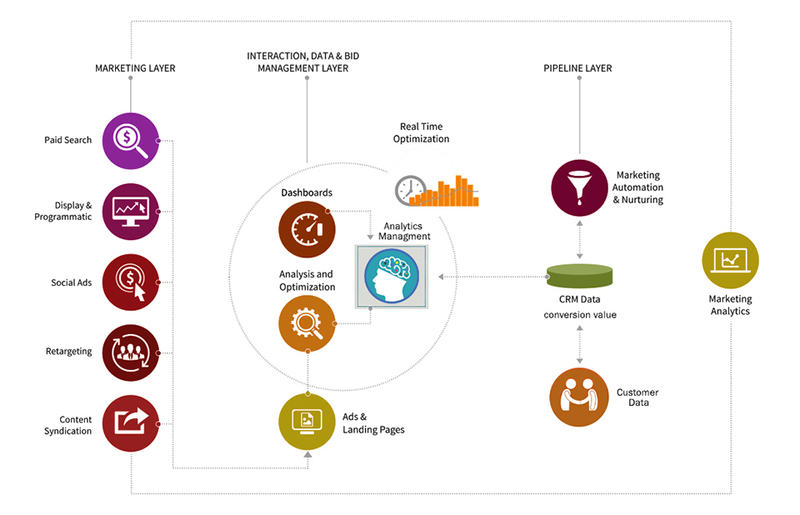 The analytics team in this model is highly involved in BI as marketing. Overall, most of the companies would hire only one marketing analyst or few and place them under the performance marketing, which is a common mistake since marketing now is all about measuring the performance. It is better to keep the analytical skills more centralized and connected with all marketing initiatives from strategy to branding to advertising and creatives. For more information, read How To Shift Your Marketing Team to Data Science and Marketing Technology? For each marketing strategy, the company is looking to assess its return on investment (ROI). A CMO would have therefore determined that his return is 150 percent on the marketing investment. But the CMO will likely still have questions. Will the investment in 2017 also pay dividends in 2016? Will increasing the investment will increase the returns in sales, or are there diminishing returns to marketing? What are the longer-term effects, and what is the CLV of client acquired through this campaign? These are the real questions and the goal of analytics is to accommodate these nuances of marketing’s influence on sales so that the estimate of incremental sales is an accurate reality. I believe that marketing function is not only about generating ROI on the spot. Marketing departments should benefit from analytics to work on maximizing long-term profits or as I call it, future ROI. In order to do that you cannot simply shift funds from low ROI to high ROI activities because of you CEO considerations about the marketing budget. In fact you are harming the company in the long-term because there may well be strategic considerations not fully captured in the ROI measures themselves. Examples are brand exposure versus the short-term sales, balancing push and pull efforts to support distribution channels, and target segments that are strategically important on the long-term. The role of analytics would jump in and help you to consistently make good decisions about which customers to select for targeting, the contribution of channels in the CLV, and nurturing the leads to increase future profitability. Bottom line: CMOs must understand their marketing analytics foundation as precisely as possible to determine how to gain success in a data first world. If sales calls are profitable only up to a point, the marketing manager must know at which point the calls start costing the company money instead of making it. The only way to measure this is through the insights and relationships revealed by marketing analytics. By using statistical analysis techniques, firms can use past customer behaviors to predict how customers will react to different marketing channels; managers can then optimize spending on each channel. Yasser Ahmad is an independent marketing analytics consultant & digital marketing consultant with 14 years of experience. Specialized in MarTech, AdTech, Marketing Automation, Performance Marketing and Growth Hacking. Providing marketing consulting services in several markets including the Middle East, MENA region and APAC. AI and Marketing Cloud Technologies: Why The Gap is Still Big?